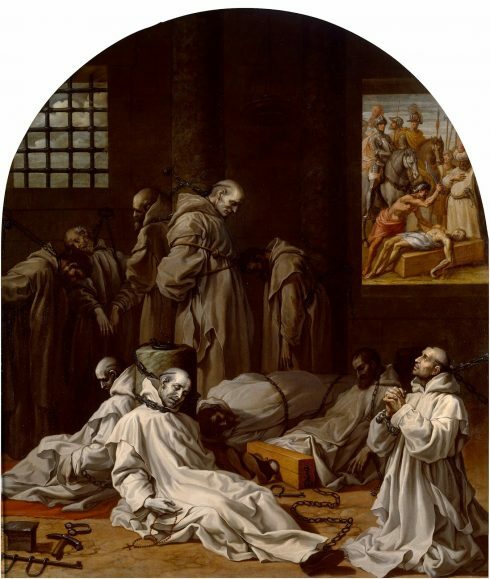 The Carthusian Martyrs were the monks of the London Charterhouse, the monastery of the Carthusian Order in central London, who were put to death by the English state in a period lasting from the 19 June 1535 till the 20 September 1537. 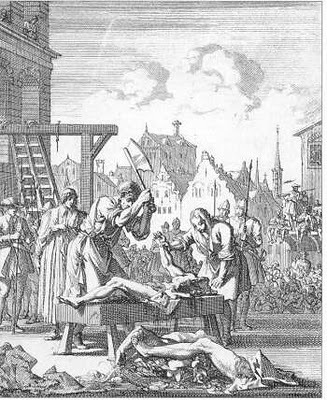 The method of execution was hanging, disembowelling while still alive and then quartering. The group also includes two monks who were brought to that house from the Charterhouses of Beauvale and Axholme and similarly dealt with. 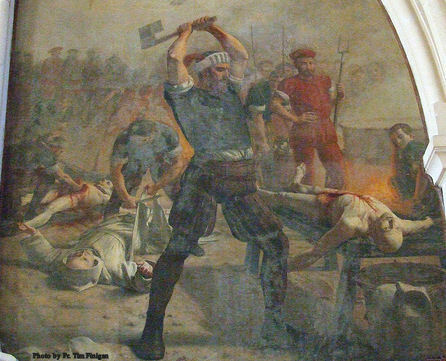 The total was 18 men, all of whom have been formally recognized by the Catholic Church as true martyrs. 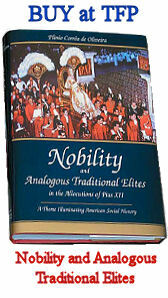 At the outset of the “King’s Great Matter,” (the euphemism given to King Henry VIII’s decision to divorce Catherine of Aragon, marry Anne Boleyn and break with the Holy See) the government was anxious to secure the public acquiescence of the Carthusian monks, since they enjoyed great prestige for the austerity and sincerity of their way of life. When this attempt failed, the only alternative was to annihilate the resistance, since their refusal put the prestige of the monks in opposition to the king’s will. This took the form of a long process of attrition. On 4 May 1535 the authorities sent to their death at Tyburn, London three leading English Carthusians, Doms John Houghton, prior of the London house, Robert Lawrence and Augustine Webster, respectively priors of Beauvale and Axholme, along with a Bridgettine monk, Richard Reynolds of Syon Abbey. Protomartyr of the persecution under Henry VIII, b. in Essex, 1487; d. at Tyburn, 4 May, 1535. He was educated at Cambridge, graduating LL.B. about 1497, and later LL.D. and D.D. ; he was ordained priest in 1501 and entered the Carthusian novitiate at the London Charterhouse in 1505, where he was professed in 1516. He filled the office of sacristan, 1523-28; of procurator, 1528-31; of prior of Beauvale, Nottinghamshire, from June to November, 1531; of prior of the London Charterhouse, 1531-35; and of provincial visitor, 1532-35. In 1534, he asked that he and his community be exempted from the oaths required under the new Act of Succession, which resulted in both him and his procurator being arrested and taken to the Tower of London. However, by the end of May, they had been persuaded that the oath was consistent with their Catholicism, with the clause “as far as the law of Christ allows” and they returned to the Charterhouse, where (in the presence of a large armed force) the whole community made the required professions. A View of the Charter House taken from the Green 1813, etching and aquatint, by the British printmaker Robert Havell I. However, in 1535, the community was called upon to make the new oath as prescribed by the 1534 Act of Supremacy, which recognised Henry as the head of the Church in England. Again, Houghton, this time accompanied by the heads of the other two English Carthusian houses (Saint Robert Lawrence, Prior of Beauvale, and Saint Augustine Webster, Prior of Axholme), pleaded for an exemption, but this time they were summarily arrested by Thomas Cromwell. They were called before a special commission in April 1535, and sentenced to death, along with Saint Richard Reynolds, O.Ss.S., a monk from Syon Abbey, considered one of the foremost scholars of his day. 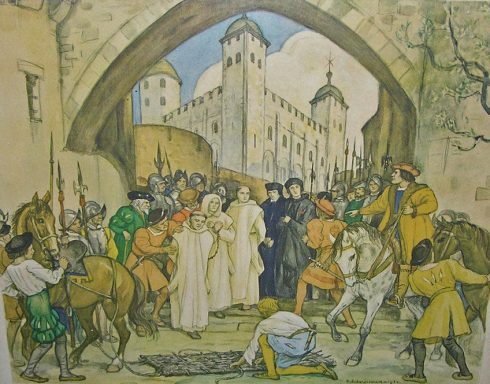 A Painting on the wall of the Martyrs’ Chapel in Our Lady of Good Counsel Church in Eastwood, Notts UK of the Martyrdom of St. John Houghton and Companions. 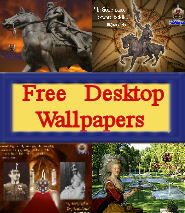 All four were indicted 28 April, 1535, under 26 Henry VIII, c. 1, for refusing the oath of supremacy. The jury at first refused to find them guilty, but were intimidated by Cromwell into doing so the next day. All were hanged in their habits without being previously degraded, and all were disembowelled while fully conscious, Houghton being the first to suffer and Reynolds the last. Martyrdom of St John Houghton & companions. Detail from a window in St. Dominic’s priory church in London. With them died a secular priest, Blessed John Hale, LL.B., Fellow of King’s Hall, Cambridge, and Vicar of Isleworth, Middlesex, since 13 August, 1521. He took this living in exchange for the Rectory of Cranford, Middlesex, which he had held since 11 September, 1505. There is nothing to identify him with the Rector of Chelmsford of 1492. He may possibly be the person of this name who became scholar of Eton in 1485. He was indicted 20 April, 1535, with the perpetual curate of Teddington, Middlesex, named Robert Feron, for offenses against 25 Henry VIII, c. 22. Both pleaded guilty and were condemned; but Feron was pardoned. Hale was the fourth to suffer. After little more than a month after the first group, it was the turn of three leading monks of the London house: Doms Humphrey Middlemore, William Exmew and Sebastian Newdigate, who were to die at Tyburn, London on the 19 June. Newdigate was a personal friend of Henry VIII, who twice visited him in the prison to persuade him to give in, in vain. 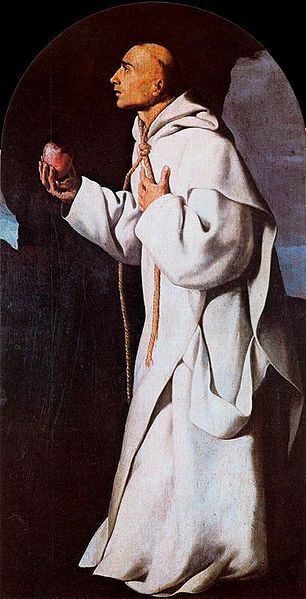 English Carthusian martyr, date of birth uncertain; died at Tyburn, London, 19 June, 1535. His father, Thomas Middlemore of Edgbaston, Warwickshire, represented one of the oldest families in that county, and had acquired his estate at Edgbaston by marriage with the heiress of Sir Henry Edgbaston; his mother was Ann Lyttleton, of Pillaton Hall, Staffordshire. Attracted to the Carthusian Order, he was professed at the Charterhouse, London, ordained, and subsequently appointed to the office of procurator. 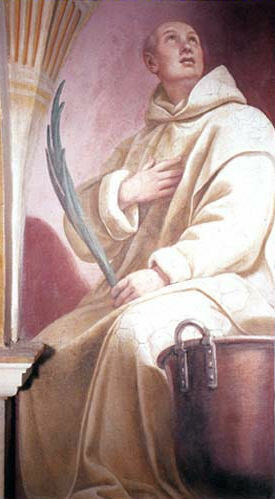 Although few details of his life have come down, it is certain that he was greatly esteemed for his learning and piety by the prior, [Saint] John Houghton, and by the community generally. In 1534 the question of Henry VIII’s marriage with Anne Boleyn arose to trouble conscientious Catholics, as the king was determined that the more prominent of his subjects should expressly acknowledge the validity of the marriage, and the right of succession of any issue therefrom. Accordingly, the royal commissions paid a visit to the Charterhouse, and required the monks to take the oath to that effect. 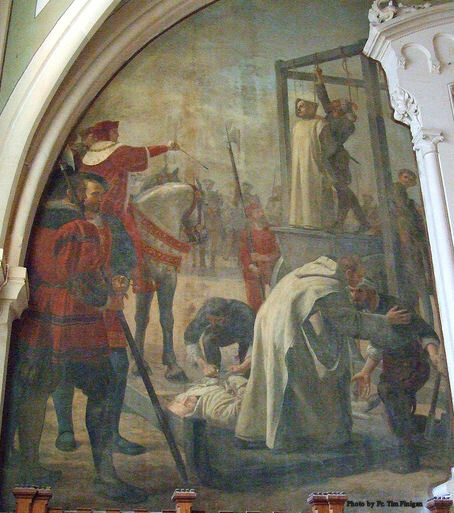 Chapter House at Parkminster has several paintings of the sufferings of the English Carthusian martyrs. 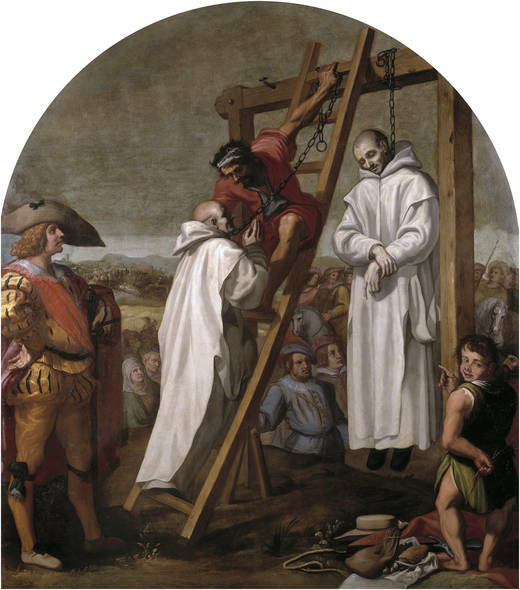 This painting shows one monk hanging while another forgives the man who is about to execute him. Father [John] Houghton and Father Humphrey refused, and were, in consequence, imprisoned in the Tower; but, after a month’s imprisonment, they were persuaded to take the oath conditionally, and were released. In the following year Father John was executed for refusing to take the new oath of supremacy, and Father Humphrey became vicar of the Charterhouse. 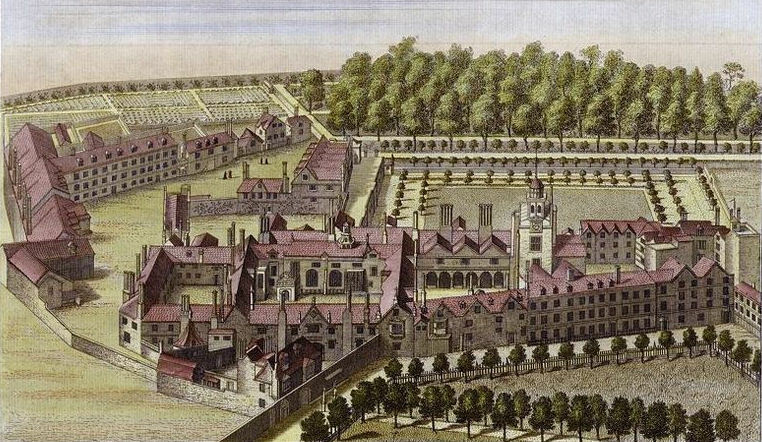 Meanwhile, Thomas Bedyll, one of the royal commissioners, had again visited the Charterhouse, and endeavored, both by conversation and writing, to shake the faith of Father Humphrey and his community in the papal supremacy. His efforts left them unmoved, and, after expostulating with them in a violent manner, he obtained authority from Thomas Cromwell to arrest the vicar and two other monks, [Blessed Sebastian Newdigate and Blessed William Exmew,] and throw them into prison, where they were treated with inhuman cruelty, being bound to posts with chains round their necks and legs, and compelled so to remain day and night for two weeks. They were then brought before the council, and required to take the oath. Not only did they refuse, but justified their attitude by able arguments from Scripture and the Fathers in favor of the papal claims. They were accordingly condemned to death, and suffered at Tyburn with the greatest fortitude and resignation. GILLOW, Bibl. Dict. Eng. Cath., s.v. Middlemore; MORRIS, Troubles, I; DODD, Church History, I, 240; DUGDALE, Monasticon, VI (ed. 1846), 8. Carthusian monk and martyr; suffered at Tyburn, 19 June, 1535. He studied at Christ’s College, Cambridge, and became a proficient classical scholar. Entering the London Charterhouse, he was soon raised to the office of vicar (sub- prior); in 1534 he was named procurator. 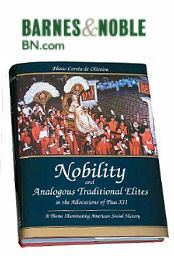 Chauncy says that for virtue and learning his like could not be found in the English province of the order. Two days after the Prior of the Charterhouse, St. John Houghton, had been put to death (4 May, 1535), W. Exmew and the vicar, Humphrey Middlemore, were denounced to Thomas Cromwell by Thomas Bedyll, one of the royal commissioners, as being “obstinately determined to suffer all extremities rather than to alter their opinion” with regard to the primacy of the pope. 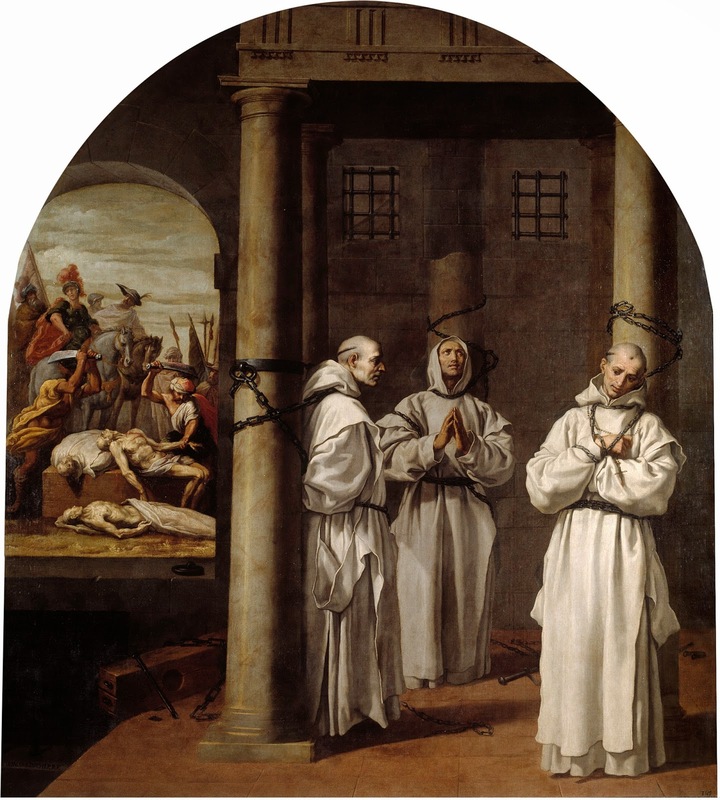 Two Carthusian Monks are being hung, while another Monk was cut down while still alive to be disembowelled and then quartered. Three weeks later they and another monk of the Charterhouse, Sebastian Newdigate, were arrested and thrown into the Marshalsea, where they were made to stand in chains, bound to posts, and were left in that position for thirteen days. After that, they were removed to the Tower. Named in the same indictment as St. John Fisher, they were brought to trial at Westminster, 11 June following, and pleaded not guilty, i.e., of high treason, but asserted their staunch adhesion to what the Church taught on the subject of spiritual supremacy and denied that King Henry VIII had any right to the title of head of the Church of England. They were consequently condemned to death as traitors, and were hanged, drawn, and quartered. 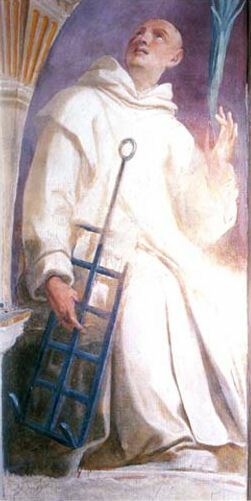 W. Exmew is one of the fifty-four English martyrs beatified by Leo XIII, 9 December, 1886. HENDRIKS, The London Charterhouse (London, 1889); CHAUNCY, Hist. aliquot Martyrum Anglorum (Montreuil-sur-Mer, 1888). Executed at Tyburn, 19 June, 1535. A younger son of John Newdigate of Harefield Place, Middlesex, king’s sergeant, and Amphelys, daughter and heiress of John Nevill of Sutton, Lincolnshire. He was educated at Cambridge, and on going to Court became and intimate friend of Henry VIII and a privy councilor. He married and had a daughter, named Amphelys, but his wife dying in 1524, he entered the London Charterhouse and became a monk there. He signed the Oath of Succession “in as far as the law of God permits”, 6 June, 1534. Arrested on 25 May, 1535, for denying the king’s supremacy, he was thrown into the Marshalsea prison, where he was kept for fourteen days bound to a pillar, standing upright, with iron rings round his neck, hands, and feet. There he was visited by the king who offered to load him with riches and honors if he would conform. He was then brought before the Council, and sent to the Tower, where Henry visited him again. His trial took place, 11 June, and after condemnation he was sent back to the Tower. With him suffered Saint William Exmew and Saint Humphrey Middlemore. An axeman is quartering one of the Monks who has just been hanged. The next move was to seize four more monks of community, two being taken to the Carthusian house at Beauvale in Nottinghamshire, while Dom John Rochester and Dom James Walworth were taken to the Charterhouse of St. Michael in Hull in Yorkshire. They were made an “example” of on 11 May 1537, when, condemned on trumped-up charges of treason, they were hanged in chains from the York city battlements until dead. 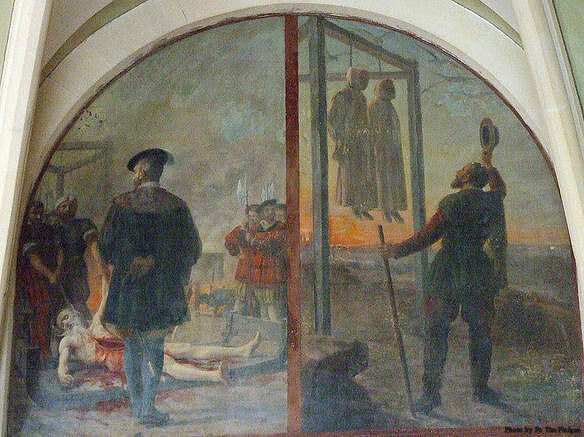 Martyrdom of Dom John Rochester and Dom James Walworth. Painted by Vicente Carducho who was a painter to King Philip IV of Spain. The government continued to play a game of intimidation until 18 May 1537, when the twenty hermits and eighteen lay brothers remaining in the London Charterhouse were required to take the Oath of Supremacy. Of these, the hermits Doms Thomas Johnson, Richard Bere, Thomas Green (priests), and John Davy (a deacon), refused. Richard Bere was the nephew, and namesake of, Richard Bere the Abbot of Glastonbury (1493–1525). 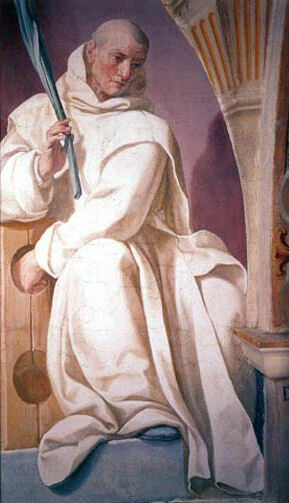 The younger Bere abandoned his studies in the law, and became a Carthusian in February 1523. Thomas Green may be the Thomas Greenwood who obtained a bachelor’s degree at Oxford, and later a Master’s degree at Cambridge in 1511, who became Fellow of St John’s College, Cambridge in 1515 and the Doctorate in Divinity in 1532. This would associate him with St. John Fisher. Likewise, of the brothers, Robert Salt, William Greenwood, Thomas Redyng, Thomas Scryven, Walter Pierson, and William Horne also refused. 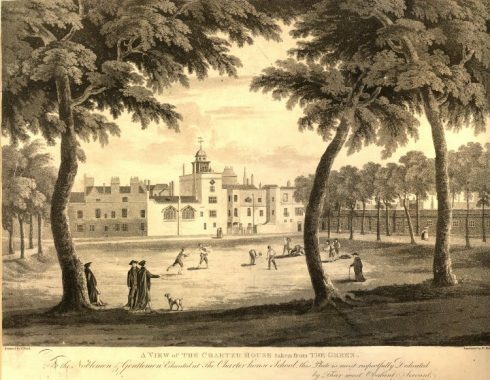 As to the rest of the community, the charterhouse was “surrendered” and they were expelled. The martyrdom of the lone survivor, Brother William Horne, is pictured on the right. 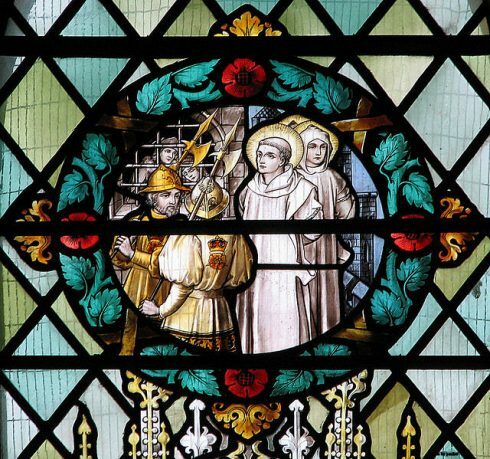 Those refusing the oath were all sent on May 29 to Newgate Prison, and treated as had been their fellow Carthusians in June 1535. They were chained standing and with their hands tied behind them to posts in the prison. This time, however, no further proceeding was foreseen and they were simply left to die of starvation. 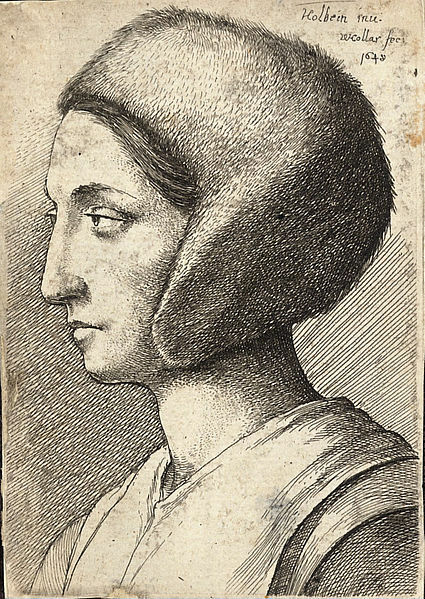 Margaret Clement (née Giggs), who had been raised by St. Thomas More, bribed the gaoler to let her have access to the prisoners, and, disguised as a milkmaid, carried in a milk-can full of meat which she fed to them. She also relieved them as best she could of the filth. However, King Henry became suspicious and began to ask whether they were already dead. When this filtered back to the gaoler, he became too afraid to let Margaret enter again. For a brief time she was allowed to go on the roof and uncover the tiles, and let down meat in a basket as near as she could to their mouths. This method meant the monks could get little or nothing from the basket, and in any case the gaoler became too afraid and stopped any contact. The lay brother William Greenwood died first, on 6 June, and two days later the deacon Dom John Davy, on 8 June. Brother Robert Salt died on 9 June, Brother Walter Pierson and Dom Thomas Green on 10 June, and Brothers Thomas Scryven and Thomas Redyng on 15 June and 16 June, respectively. These last named had survived a remarkably long time. It seems likely that at this point the King and his Council had decided upon a change of plan which entailed bringing the survivors to execution and that Cromwell gave orders that those still living were to be given food so as to keep them alive. At any rate, the hermit, Dom Richard Bere, did not die till 9 August, and Dom Thomas Johnson not until 20 September. The hanging, disemboweling, and quartering of the last remaining survivors is picture on the left. Painting by Vicente Carducho. 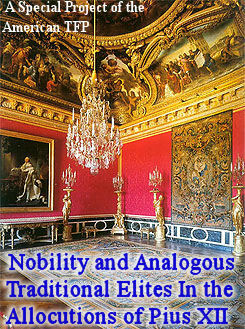 Previous post: Why has the Royal Tour been so successful in Australia and New Zealand?